The term “manufactory” originates from the time, when the Merkel brothers founded their company. From the beginning, the manufactory combined traditional, manual skills with modern industrial production methods. The Merkels were children of the Industrial Revolution – but they were also craftsmen. And thus they knew how to combine machine work and handwork most effectively. Merkel has preserved this knowledge. Even MEM rifles, with their high proportion of machine work, are nevertheless individually manufactured products, in which gunmaker skills are paired with engineering technology. They are manufactured in the same self-conception and with the same care as Meisterstück guns – very often on the same machines and by the same people. The manufactory is a living organism and the finished goods are results of the experience, the skill and (even if it sounds overstated) the pride of those that manufacture them. This applies just as much to a modern Merkel rifle of the MEM category as to a traditionally manufactured Meisterstück. Merkel was always a promoter of the gunmaking handcraft – that is still the case today. And of course we hold in high regard purely handmade hunting guns, made from solid metal, that do not use any industrially produced parts. But we also know the technological limits of these guns. Merkel manufacturing goes one step beyond the boundaries of handwork. Every Merkel MEM and every Merkel Meisterstück is the result of a process that compliments the traditional handcrafts with the most up-to-date tools, if this benefits the product and the customer. Innovation is not an empty cliché for us; it has been the mainspring of our success since the very beginning. Electrical discharge machining and the CNC production of work parts are part of this modern process that helps produce time-honoured Merkel hunting rifles or modern MEM rifles of the highest quality. Electroerosive wire-cutting works with minimum tolerances in a range of 0.005 to 0.01 millimetres. Die sinking produces sharp edges with almost the same precision – for example, the guides of the bottom bites of break open guns are made this way. 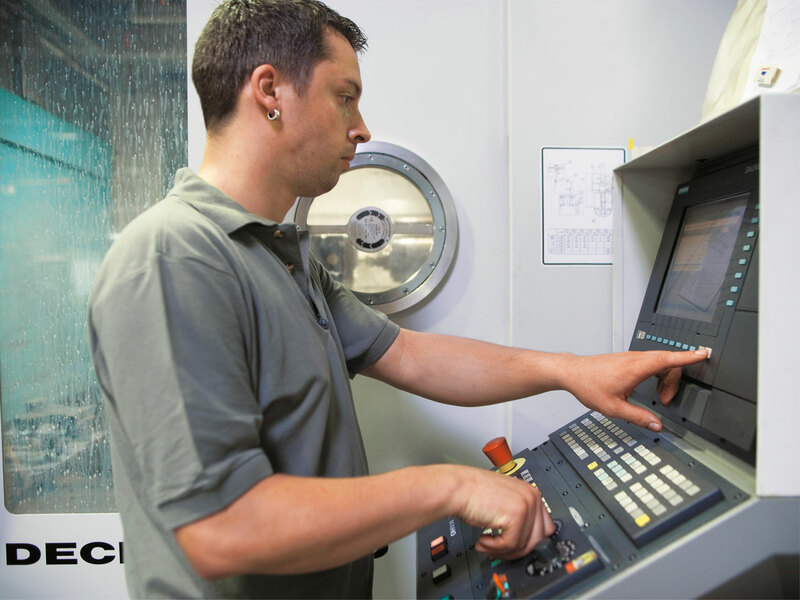 Computer-controlled 5-axis milling centres work with tolerances from +/- 0.01 millimetres – these are the values required for the manufacture of mechanical wristwatches. We use them for processing steel or duralumin parts as well as for wood. Thanks to CNC milling we produce stocks with perfectly flush joints to the steel parts of the barrel and receiver. The fact, that such precision parts are subsequently fitted by hand or finished with a traditional coating is no contradiction for us. It all goes to improve the quality of the finished product. 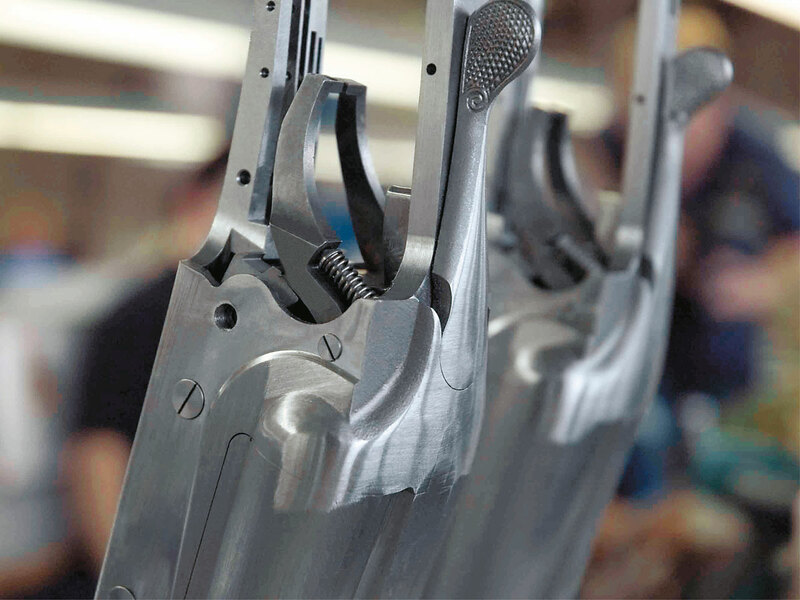 Our employees have learned the classical gunsmith’s craft – and refined it with knowledge of high-tech production processes. This is exactly where Merkel offers more. The wide range of in-house production is typical of Merkel manufacturing. All key processes are carried out in our manufactory. 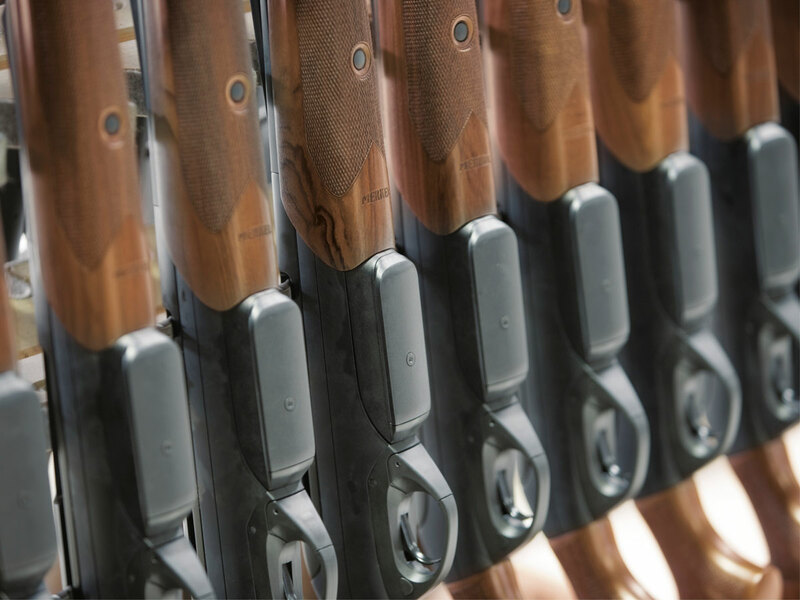 Merkel produces all the essential components of a gun itself: barrels, stocks, lock components, locking mechanism parts and barrel sets. Assembly, ballistic testing and final inspection – we only rely on ourselves to carry out these processes. There are product groups where Merkel makes no more than a single hunting gun per year. There are others, which number in the thousands. This flexibility in production quantities is characteristic of Merkel manufacturing. At the request of a customer we can offer highly individualised hunting guns – right down to a one-of-a-kind piece. At the same time we produce Meisterstücks in series, where this serial production seemed infeasible before the turn of the millennium. There is hardly another hunting gun manufacturer in the world that covers such an extensive product range. This stretches from traditional hunting rifles – our Meisterstücks – right through to semiautomatic rifles of the MEM category; or from the massive Africa side-by-side rifle to the modern bolt action rifle. With three-dimensional computer simulations or controlled shooting with the aid of high-speed cameras, we draw nearer to the ideal rifle. According to the Merkel definition, the ultimate aim of the ideal rifle combines functional aesthetic, high precision, the highest quality and a service life that will last for generations. Even if they are distinguished by a perfect finish and enjoy great popularity among collectors, our rifles are all made for contemporary hunting. And even if we work with cutting-edge technology, every Merkel rifle remains an individual one-of-a-kind.